*The quote above, though attributed to Archbishop Romero was originally written by the late Ken Untener who became the much-loved bishop of Saginaw, Michigan. He wrote it while he was the vicar general of his diocese for a speech given by his bishop. The quote came to be associated with Archbishop Romero—a gift, so to speak, from one bishop to another. 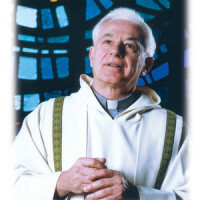 Bishop Untener died in March of 2004. He was 66 years old. 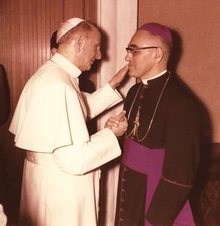 Oscar Romero was murdered in El Salvador on March 24, 1980, while presiding at Mass. His efforts to assist the poor and to speak out against social injustice, poverty and the assassinations occuring in his country cost him his life. He was 62 years old. Our Holy Father, Francis, declared him a martyr, paving the way for his canonization held in October 2018.